अभी तक India में जितने भी smartphone launch हुए है उनमे normally 4000mAh battery रखता है और maximum 5000mAh battery लगा रहता है. लेकिन Energizer नाम एक mobile company ने इस साल 2019 में होने वाले MWC(Mobile World Congress) total 26 smartphones launch करेगा और इसमें से एक ऐसा smartphone भी होगा जिसमे 18,000mAh powerful battery मिलेगा इसके बारे में कंपनी ने खुद tweet करके जानकारी दी है. 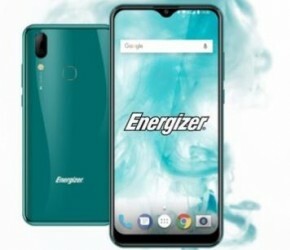 लेकिन Energizer mobile के बारे में शायद अपने पहले कभी नहीं सुना हो, तो ये कोई New mobile brand और India में 18,000 mAh battery वाला या फ़ोन कब लांच होगा? आईये इन सब के बारे में विस्तार से जानते है. अलग-अलग तरह hardware specifications के साथ अलग -अलग design, display और Camera quality भी होगा जो की हर तरह के ग्राहक के लिए suitable होगा। इसमें से कुछ models की images और Specifications GSMarena पर भी reveal किये गए है. क्या यह 18,000mAh Mobile India में लांच होगा? 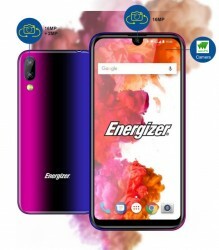 Energizer smartphones अभी केवल European countries में available है. इसका आने वाला poweful smartphone Globally launch होगा या केवल Europe के लिए launch होगा इसके बारे में जानकारी MWC 2019 mobile event के बाद ही पता चल पायेगा. Pocketnow पर Energizer phones distributor company Avenir Telecom के CEO ने upcoming smartphones के बारे में कुछ इस तरह का statement दिया है. By offering high-performance, quality phones at affordable prices, we are responding to the growing demand for entry-level and mid-range smartphones. The release of the fourth line of elegant, innovative and reasonably-priced smartphones broadens the catalog of products that we can offer our partners, which in turn will allow them to satisfy the demands of consumers in their local regions”, said Jean-Daniel Beurnier, CEO of Avenir Telecom. इस Statement से साफ़ तौर पर साबित होता है की यह Smartphones अभी केवल local consumers के लिए launch किये जाने वाला है यानि अभी Energizer 18000mAh mobile को India में लांच होने का chance नहीं मिलेगा ऐसे powerful phone का use करने के लिए आपको थोडा wait करना पड़ेगा. चुकी अभी तक किसी और company ने ऐसे फ़ोन बनाये नहीं है इसकी वजह हैं – Phone heat और Blast क्योकि जयादा powerful battery की वजह से Phone heat करेगा और इसको balance बनाकर कैसे रखना है इसके बारे में सभी technology किसी के पास नहीं है. 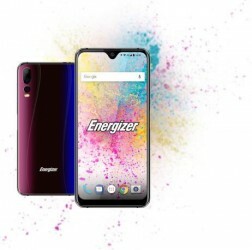 अब अगर Energizer ने successfully इतने powerful battery को phone के साथ सही तरीके से fit कर पाया है. तो सभी brands को एक रास्ता मिल जायेगा और कुछ समय में Xiaomi, Vivo, OnePlus जैसे companies market में इससे ज्यादा poweful phone उतार कर सकते है. Jaisa ki hm sab janty hain hr din technology advance hoti jaa rhi hai… ye toh bs uska ek jalwa hai… thanx bhai for sharing such valuable content.